It notifies customers about changes in prices of products to which they have subscribed. The module sends an email to the customer advising about a reduction in the price of the product in which they are interested. It takes as a base the price of the product on the day on which the customer subscribed. 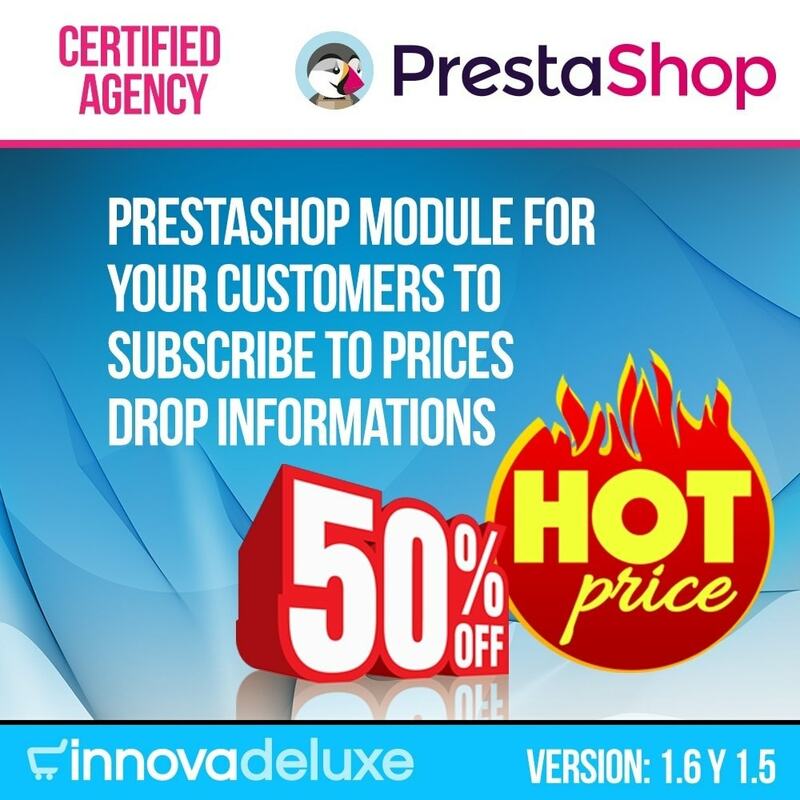 Keep your customers permanently informed about any changes that occur in any specific product in your online shop, with the Deluxe Model price alert. 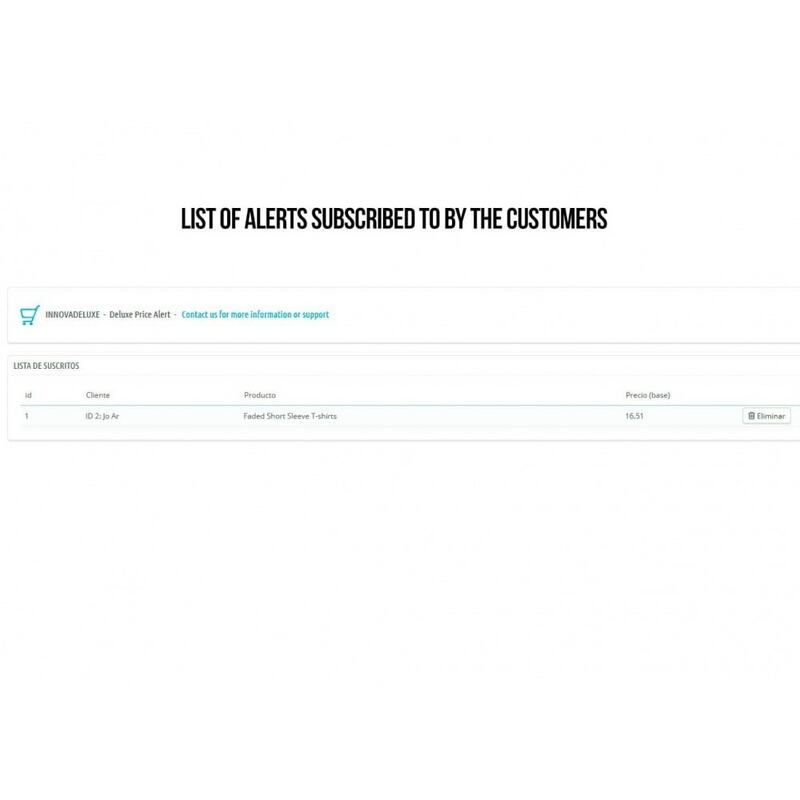 It enables an alert to be sent to the users of your e-commerce business about any change occurring in relation to the prices of the products they have selected in order to subscribe to the alerts. In this way you can easily increase your conversion by notifying those who might be interested in a specific product. The users of your online shop will be able to subscribe to an email list in order to be notified when the products drop in price. Deluxe Model price alert represents a great advantage in maintaining communication with your customers and informing them about price changes in products in which they might be interested. In this way you can maintain follow-up and in time achieve a sale.